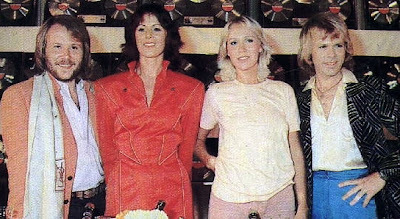 ABBA at a press conference in Edmonton after the first Canadian concert, September 13th 1979. Check out the heavy eye make-up! Congratulations from Argentina!!! Your blog is FANTASTIC! I really enjoy with all the ABBA pics. Keep in the good job!